Manufacturer of a wide range of products which include natural wood texture tile moulds, brooks tiles mould, chatai design tile mould, brick paver tiles mould, plastic tile moulds and tile moulds. Natural Wood Texture Tile Moulds are designed from finest quality materials, the offered tile molds are used for large scale production of arch European design paver block. 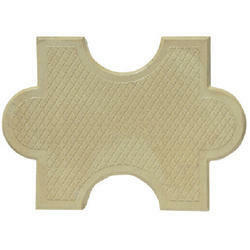 The premium quality of the offered arch European design paver tile molds is never compromised at our end. We are counted as a reliable manufacturer and supplier of the optimum quality Brooks Mould Tiles. By using advanced cutting and polishing tools, the designers and other support staff design the offered Brooks tiles molds in accordance with the latest market trends. 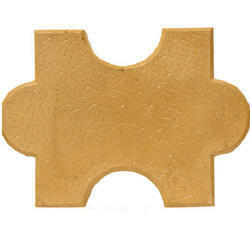 Used for decoration floor or roof, the offered Brooks tiles molds are rendered by us in various patterns. With the rich industry experience and immense knowledge in this domain, we are involved in offering premium quality Chatai Design Mould Tiles. Offered in different grades as per clients' needs, this product is properly packed in superior quality packaging material to ensure its safe delivery. Fabricated using optimum quality plastic and other allied material, this product is provided in different design like football, etc. as demanded by our clients. 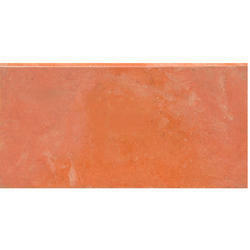 Keeping the track of latest happening in this domain, we export & manufacture the finest quality Brick Paver Mould Tiles. 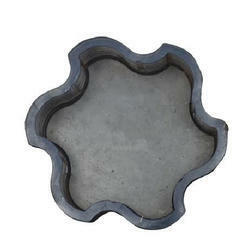 Designed as per latest market trends, the brick paver tile molds is known for its elegant design and smooth finish. 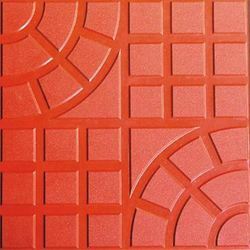 Widely used for interior decoration purposes, the offered brick paver tile molds are available with us in various designs. 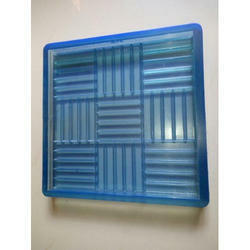 Our company has achieved laurels in offering Plastic Tile Moulds to the clients. 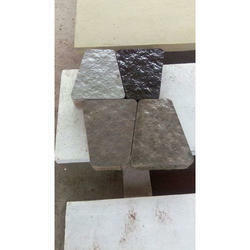 This product is commonly used for patios and walkways, pool side and stair areas. Plastic Tile Mould is manufactured by adroit professionals using a premium quality material with the aid of ultra modern machines at manufacturing unit. Offered range is widely acclaimed by the clients for tough construction, unique designs, long service life and seamless finish. Offered range is available in varied specifications and sizes as per specific needs of the valuable customers. 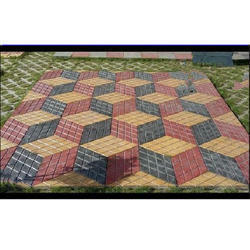 We are one of the reputed organizations of Tiles Moulds. 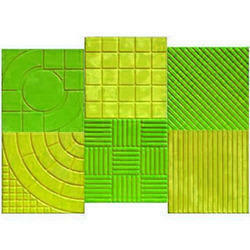 Valued as a reliable manufacturer and supplier, we offer the premium quality of Designer Square Tiles Moulds. Designed as per the set industry norms, the offered designer square tiles are used for residential establishments. Timely delivery of the offered designer square tiles for home is assured at our end, owing to the wide distribution network. 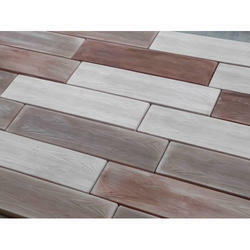 Stone Paver Tiles are smooth and look stunning in design. Our customers can avail this array at very cost effective rates. To meet the precise needs of our patrons, we manufacture and export the finest quality of Floor Tile Moulds. Designed as per the prevailing market trends, the offered floor tile mold is used for large-scale production of floor tile. Rigorous quality assurance procedures carried out at each stage of production ensures that the quality of the offered floor tile mold is never compromised. Our company has created a niche in the field of offering Rubber Tile Moulds to the clients. This product is manufactured by a team of dexterous professionals and by using modern tools and advanced technology in strict compliance with quality norms and standards. Offered range can be avail in the different specification as per necessities of clients. 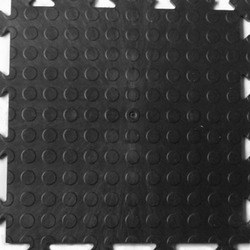 Rubber Tile molds are appreciated for long life and weather resistance. Offered range extensively demanded around the country. This product is properly checked by expert quality controllers on different parameters. We are a preferred name in the industry for supplying and exporting a durable range of Paver Tile Moulds. We areknown to offer a varied range which can be altered as per the designs and colors to give desired end products. We are offering the range as per the requirements of the clients. The company is extremely valued for its constant commitment to quality and in time delivery mechanism. Looking for Tile Moulds ?